Ben – Now down to 16.7% – that’s 6% down in 10 weeks!!! Peter – Down 1% and 1kg of pure fat this week! Down 6% overall! Geoffrey – 1kg of muscle gained and now down to 11.1% body-fat! Good habits are hard to form but easy to live with. Bad habits are easy to form but hard to live with. 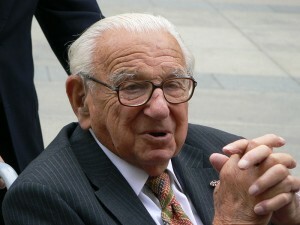 Sir Nicholas WintonThis week I wanted to go completely off topic. As much as I love the world of health and fitness, I also like to take an interest in other areas of human achievement and remarkable stories. 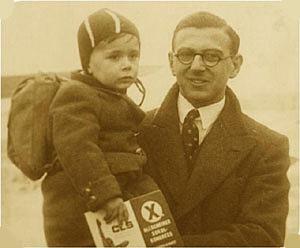 Purely by chance during the week, I learnt about Sir Nicholas Winton. Winton, born in England in 1909, has achieved some remarkable things. During World War 2, he began service in the RAF – making his way from Airman to Flight Lieutenant in a 19 year career. However, before his service in the war, he was able to organise the evacuation of 669 mostly Jewish children from Czechoslovakia during the initial stages of the Nazi occupation. The details of his exploits remained secret, until 1988, when his wife found a scrapbook of the children’s details in their attic. A remarkable an inspirational story of humanity. As ever, I look forward to seeing you all working hard and making the most of life over the next week.